A mystery box has been pictured, reported to be holding a new device for Verizon from Motorola. 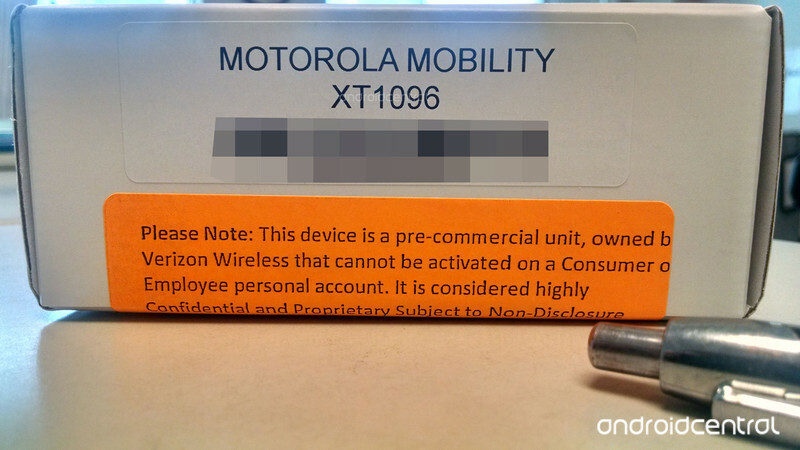 Motorola Mobility model number XT1096 is stickered on the side, as well as a notice that the device is highly confidential and not connectible to employee or consumer wireless lines. Whatever it is, Motorola doesn’t want you to see it. For those concerned about model numbers, the Moto-made DROID MAXX features model number XT1080, while the Moto X on Big Red features number XT1060. So, what could the XT1096 be? The Moto Maxx? The Moto X+1? At this point, the model number has not been seen before, so there are no exact indications as to what it could be. We are open to speculation. Let’s hear your thoughts down below.